Editor’s Note: Some may find the following message challenging while for others it may resonate from within. As a former seminary graduate and minister of a Pentecostal church, I fall into the later group, It speaks to me deeply as this was similar to my path. Note from Nancy: I am including the above Editor’s Note from Dave because we, who trained as ministers and had to leave the church in order to seek Truth on our own, yearn to see those still caught in the web of dogma break those chains. The spiritual journey can be so exciting when traveled with freedom to seek Truth wherever it may be found. Stay strong in your Light and in the Light of Jesus Christ, dear friends. He is very real and He Loves you unconditionally. There are going to be many revelations in the immediate period ahead that are going to break the controls and constraints that have been placed over the once Lighted views that make up your belief systems. Nobody will be telling you that you are wrong or that dear Jesus and God do not exist, because they do and they are Guiding any soul on Earth who wishes to connect with them. The dogmas and limits that have taught you to look for power only in Jesus and God and not in yourself, are to be transformed as it is explained that each and every one of us are God. Each and every one of us Create our reality just as dear God Created Eden, and you possess the power within yourselves to connect with God and with Jesus in ways that are more real than you can imagine. With all due respect for you beautiful souls involved in Christianity and Catholicism, you have been taught to believe that the only way to find God is through redemption, prayer and a strict following of an ordained set of rules. This is simply not so. God is with you; His eternal glory and splendor is all around you, and our beautiful Creator wishes dearly for all of us to reignite contact with Him in very real ways. The methods you have been given to gain a good grace with God have served to hold you back in communicating with and finding God. God and Jesus only wish you to Live in Love and to treat others as you would like to be treated. This is the Golden Rule dear friends, and was one of little truths given in any given version of the Bible. You do not need to follow the words and demands of a minister or a priest to find God and to stay on God’s ‘good side’, as God does not have a ‘bad side’. He Loves all of us unconditionally and only wishes for us to discover and find this Love. We do not need to be baptized or beg for redemption of our perceived ‘sins’ to do this. All we need to do is make the effort to connect with God and with Jesus alike, to thank them for all that they have given us on this beautiful world, and to acknowledge that God is all around and that it takes little more than an acknowledgement of God’s awesome and Divine presence which is again all around us, to strengthen your relationship with Him in all of His eternal splendor. It must be expressed as well, that God will not be sending anybody to hell upon such souls leaving this Life, because of their perceived ‘sins’. The reality we are experiencing currently is about as close to hell as can be experienced, as physicality pales in comparison to the beautiful Heavens that await us. Yes dear friends, heaven is real and so is hell. The difference is that hell is not a place where a vengeful God sends the sinners; simply look at how judgmental such a statement and belief sounds. Again, compared to the heavenly realms in which we are all evolving, physically and spiritually to, this reality we are experiencing now can be seen as hell. The pearly gates of heaven, the gold-lined roads, these are all real and the concept of heaven as well; an ascended city that sits on the clouds, is real. There are hundreds, thousands, millions, billions of these heavenly cities lining the clouds of Earth, and upon leaving this incarnation each and every one of us has the choice to visit these beautiful ascended cities, rather than having only a choice between a ‘heaven’ and a ‘hell’. Many beliefs and structures of what seem to be reality by many dear Christian and Catholic people, will need to be expanded exponentially and the limits that have been forced upon you dear beautiful souls will also have to be expanded. Dear Master Jesus is one of an infinite amount of heavenly Ascended Masters who have walked the Earth and shared their Lighted teachings with Mankind. Jesus has walked this Earth as have Master Muhammad, Master Buddha, Master Moses, Master Gandhi, Master Martin Luther King Jr., and so many other dear heavenly souls who wished to share the teachings of our Heavenly Father in very direct ways. The teachings of Jesus and of many other religious figures and prophets (not every Master listed above is a religious prophet) have been substantially distorted to keep you dear beautiful souls in a state of perceived limitation. Those who would and have attempted to control you, know that you dear souls are looking for your own spirituality and concept of the heavenly realms and of a Creator and that many of you who follow organized religion of the forms spoken of in this message, are indeed wonderful people who simply wish to gain a perception and relationship with our Heavenly and Divine Father as well as with dear Jesus. Those who have distorted the teachings of so many Masters, know that you dear souls are open to our Heavenly Creator which is why they have taken to distorting the Lighted teachings of dear Jesus among so many others, to keep you in a state of illusion and limitation in regards to finding God and Jesus in real, actual ways. So far, the teachings that have been ‘given’ by Christianity and Catholicism have served to hold you back from a tangible relationship with our beautiful Creator as well as His prophets. Did you know that Master Jesus is routinely communicating with humanity? Along with many other dear Ascended Masters, Jesus has been speaking with humanity to help prepare us for the glorious evolutionary event that is to grace this world and that for the most part, is currently in progress. The mere incarnation of Jesus and so many other Masters on Earth was to share and help spread the truths of the Light, of the heavenly and angelic realms in which we are returning to with the beautiful ascension of this world. The prophecies given in your books have themselves been distorted. The original prophecies given in relation to these end times, stated that this world as we know it – the separation, the hate, the limitation – is to indeed end, and is to be replaced with a beautiful Utopian Heaven, right here on Earth. Imagine, dear friends, getting to experience Eden in all of it’s beauty and wonder. Please dear friends, in regards to this message, do not shoot the messenger. There are plenty of people who would deliver this same message that I am giving to you, in much more disrespectful and hateful ways. In the immediate period ahead when many revelations and truths begin pouring into our mainstream world, much will be explained to you about the nature to which you have been controlled and the nature to which the teachings of our dear Creator as well as of Jesus and so many other Ascended Masters were distorted to keep you thinking that a direct relationship with our Creator is difficult to attain. It certainly is not. We will all have little time to keep up in regards to following and absorbing so many revelations, and I give you this introductory message on behalf of the Angelic forces who wish each and every one of you to discover the true nature of our reality. Such Angels will be speaking directly with all of us on this world so very soon, and they want dearly to connect with and to Love each and every dear soul amassed in each and every religion, as well as each and every soul on this world not amassed in religion. A peaceful reuniting with all of those souls amassed in other religions that sport different prophets will be necessary, as each and every religious prophet that has incarnated on this world has come from the same Heaven, the same Love, to share the same truths. One can find a common element in the teachings of every religion, and I don’t think I need to tell you what that common element is. In conclusion, I hope that this message has seeped in for some. Nobody is asking you to give up your long held and cherished beliefs, it is simply that Master Jesus along with so many other Angelic souls in the higher realms, wish you all to find the contact with them that you have desired and attempted to bring forth through prayer, following rigid dogmas and through any other type of method to find this relationship. With respect for each and every one of you, I ask that dear Jesus be with you all. Say hello, for He is with you now. Wes Annac – One of many messengers. 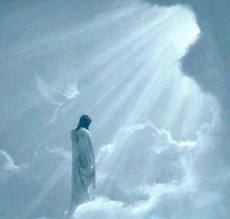 NOTE FROM NANCY: Jesus incarnated to show us the way to ascension or the Christed Consciousness, not to be worshipped. You may read my series of lessons entitled “If Jesus Is A Wayshower, What Did He Show Us?” at: http://www.pathwaytoascension.com/bible.html.